Alabama and Georgia have already wrapped up each division, but that doesn’t mean the rest of the league has nothing left to play for during the final month. For the 12 teams that won’t end the season in Atlanta, here’s one thing each program still has to play for in November. It’s difficult to accurately judge the job Chad Morris is doing considering the roster he took over in Fayetteville. That’s not to say the roster was devoid of talent, but more of a commentary on the ongoing schematic overhaul taking place on The Hill. That was made evident to everyone after North Texas came into town and beat up on the Razorbacks. That likely wouldn’t have happened under the previous coaching staff, but the players left behind don’t fit what Morris and company want to do. Following that loss, Morris called out any player who hasn’t bought in to not make the trip to Auburn. That motivation seemed to work, as the Razorbacks responded to the challenge and began to play better football the following month. How much of that was lost following the home loss to Vanderbilt? That remains to be seen, but it’s clear the youth movement has begun in Fayetteville and Morris and his staff has to identify which players can help the team moving forward into 2019, and which players cannot. While the term “running players off” is a dirty one, it’s often a reality once a new staff takes over. Parting ways in this instance could be good all around for those who don’t fit into Morris’ scheme and still want to see the field before their careers end. Doing so will also allow younger players to see the field sooner next season, something that will benefit the program in the long haul. Gus Malzahn got the dreaded vote of confidence from his AD this week, just in time before the Tigers play their two main rivals! Apparently, how competitive Auburn is against the school’s main rivals plays no factor in how good of a job the leader of the football program is doing. Allen Greene’s comments notwithstanding, Malzahn will be feeling the heat if the Tigers get blown out by Georgia and Alabama this month. Finishing the season 7-5, and potentially 7-6 considering Malzahn’s poor history in bowl games, would be a tough pill to swallow for the Auburn fan base. However, if the Tigers compete with the Bulldogs and the Tide, imagine if the Tigers upset one of them, the entire offseason narrative could be changed for Malzahn and company. Auburn ranks in the top 5 in the SEC in recruiting for the 2019 cycle, but with their highest rated prospect, 5-star linebacker Owen Pappoe, looking at his options (he visited Tennessee last weekend and is scheduled to be at Georgia this weekend), the Tigers need to avoid the narrative that Malzahn is running a sinking ship. LSU’s dream season came to a crashing halt and some heavy truths hit home. 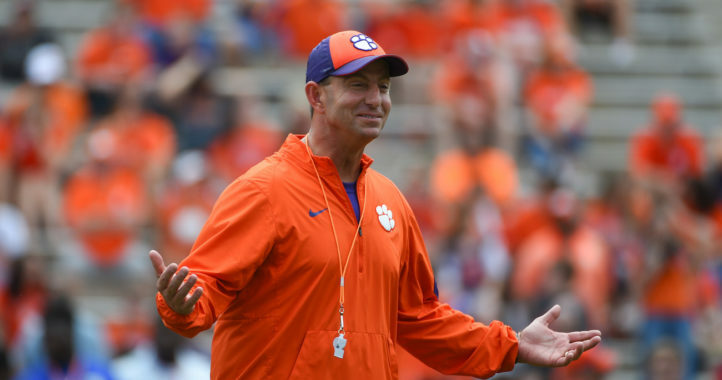 Namely, the passing game does not appear to have evolved at all since the Les Miles era. Once again, the Tigers have a bounty of promising pass catchers but seem unable or unwilling to get them the ball in big games. That has to change before the season ends if 2019 is going to be a different story. Joe Burrow and LSU’s receivers need to continue to develop these next few games to close out strong and hopefully continue the chemistry heading into the offseason and emerge as a legitimate threat in 2019. While Arkansas and Rice likely won’t challenge the Tigers, Texas A&M’s defense is capable of matching up with LSU and shutting down the rushing attack. A big reason Jimbo Fisher was hired by Texas A&M was to deliver in big games, and make no mistake, this will be a huge game for the 12th Man come Nov. 24. If the Tigers can’t move the ball on the ground and don’t make progress in the passing game, the Aggies will beat LSU in College Station for the first time since moving to the SEC. Joe Moorhead was hired because of his offensive expertise. 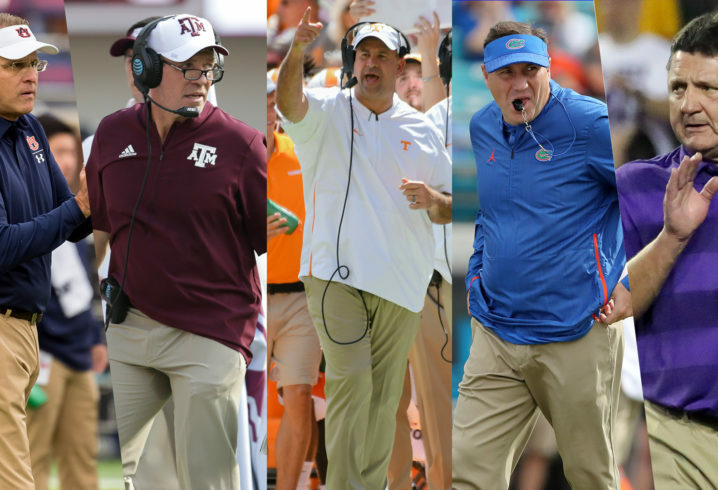 Early in the season, that offense shined before the harsh reality of SEC football was introduced to the new offensive staff. The unit crashed and burned once the SEC season arrived but looks to have finally crawled out from its hole and could be a major factor in the team’s final record. Whatever the issues were, it’s paramount that the offense doesn’t rely solely on Nick Fitzgerald this month, as he obviously won’t be around to bail them out in 2019. Kylin Hill and the receivers need to become a larger part, as they will be key centerpieces of the unit for the next quarterback, likely Keytaon Thompson, next season. Mississippi State’s outstanding defense will also be losing some key contributors this offseason, meaning the future of Moorhead’s success in Starkville will likely hinge on the achievements of his unit. If he can build on the progress after adjusting to coaching in the SEC, the future is bright for what’s to come on offense in Starkville. If Matt Luke is going to remain in Oxford for the long haul, the Rebels have to fix the defense. While the easiest solution likely will come through recruiting, that isn’t going to come immediately by signing one class. The Rebels and Wesley McGriff desperately need to find some pieces to build around to close out the season if a turnaround is going to occur next season. The Rebels should have an opportunity to do just that considering the remaining schedule, as Texas A&M has struggled of late on offense, Vanderbilt won’t be able to physically outmatch Ole Miss, and Mississippi State’s offense tends to disappear on the road. Gaining momentum could be huge for the upcoming offseason with an eye toward a make-or-break season for McGriff’s unit in Oxford. Realistic Aggies fans had to know this Texas A&M team wasn’t going to compete for a division title in Jimbo Fisher’s first season. That doesn’t mean they didn’t expect their new coach to deliver the school’s first victory over LSU since joining the SEC. That should still be Fisher’s goal to end the regular season on a high note before concluding his first campaign in a bowl game. See the LSU section for more on this game, but this matchup favors the Aggies in many aspects. The program hit a bump in the road and cooled some of the talk of A&M being one of the hottest teams heading into the offseason, but A&M still has an opportunity to gain some serious momentum and Fisher will be able to point to the progress made in his first year by beating the school that desperately wanted to hire him on multiple occasions. Getting LSU fans upset with Ed Orgeron heading into the offseason would simply be a nice bonus for Fisher and the 12th Man to savor all summer. Among all the accolades of his coaching career, Dan Mullen was hired for one reason above all others — to get the most out of Florida’s quarterbacks. 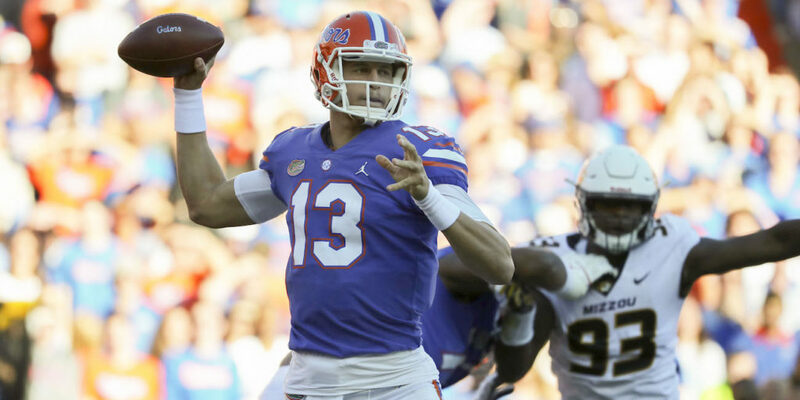 That appeared to be something he accomplished well ahead of schedule heading into the program’s mid-October bye week, but things have quickly gone sideways following back-to-back poor performances from Feleipe Franks. Kyle Trask flashed signs that he could stop the bleeding, but now he’s apparently been lost for the season due to injury. There might not be another SEC team that’s as snakebitten at the quarterback position, and that has to change if Florida is going to catch Kirby Smart’s program. If you believe it’s time for the Gators to go young, that might not be an option. This week, Mullen went so far as to suggest he could ruin the development of true freshman Emory Jones by putting him out on the field too early. Where the team goes from here will be something to monitor, but Mullen has to get this thing figured out, otherwise, the spiraling we’ve begun to see might have only just begun. The Wildcats won’t end the season in Atlanta for the first time in program history, but there’s still plenty at stake. For a program that was simply happy to be going to a bowl game two seasons ago, Kentucky will end the season playing in a New Year’s 6 Bowl if the Wildcats can close the season with three more wins against teams they will be heavily favored to beat. The toughest matchup looks to be the first game on the docket, on the road against an improving Tennessee team. When you considering Kentucky hasn’t won in Neyland Stadium since 1984, this team has another opportunity to end a dreadful streak. While many continue to snicker at their success, the Wildcats can begin to move beyond the program’s dreadful history by reaching the 10-win plateau. Do that this season and those around the league will be forced to change their perception of Mark Stoops’ program. It’s clear Drew Lock is enjoying and soaking in his final season as a college student. If you want to point to moments like what he did with the Purdue fan’s sign or his recent comments about Cece Jefferson, the Missouri QB appears to have no regrets about returning. While the Tigers never threatened in the East this season, that doesn’t mean the season can’t still end on another high note. During the week of preparation for Florida, Lock was already throwing out the possibility of winning 9 games — which would require winning out and winning a bowl game. After crushing the Gators, that goal looks more realistic heading into the final stretch — vs. Vandy, at Tennessee, vs. Arkansas. If Lock can get hot, Missouri will be favored in each contest, he’ll potentially further raise his NFL stock and the team’s progress will appeal to potential QB transfers, such as Kelly Bryant or potentially a guy like Jalen Hurts. Nearly three complete seasons into their tenure, Will Muschamp and T-Rob still haven’t gotten the defense playing well enough to compete for a league title. That might not come next season, either, if the coaching staff can’t get this young unit to take strides. That’s not to suggest the defense isn’t progressing, and injuries certainly haven’t helped matters this season, but the team struggles against a physical front capable of pushing the front seven around. On the back end, South Carolina was forced to finish the Ole Miss game with four freshmen in the secondary due to the injuries. While that sounds like a disaster waiting to happen, the fourth quarter was the only time they managed to slow down Ole Miss’ offense. If the coaching staff can continue to get the defense to make strides, as well as hold on to the more high-profile defensive prospects committed, Gamecock fans could finally start to see Muschamp’s vision for the defense take shape. This might seem like an obvious goal for every SEC team yet to reach the six-win plateau, but I would argue that no SEC would benefit more by making a bowl than Tennessee. 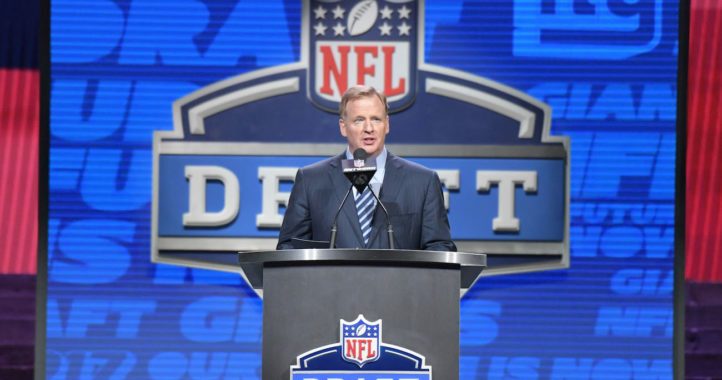 The Volunteers desperately need the extra practices as it appears players on both sides of the ball are still adjusting to the schematic changes, and into November, the coaching staff is still searching to find which side of the ball best suits some players. Of course, all the practice won’t make this roster an SEC contender; it’s going to take some recruiting wins by Jeremy Pruitt and his staff to accomplish that. Making a bowl game in Year 1 will be just another sell Tennessee’s coaches can make on the recruiting trail, and getting recruits on campus to view bowl practices would be yet another benefit of making the postseason. When asked when the turnaround took hold in Athens, Kirby Smart points to his first bowl practices at Georgia. That’s when the UGA players really began to grasp what he was selling and players like Nick Chubb and Sony Michel made the decision to return for their senior seasons. If the Vols make a bowl, it will be interesting to see if players like Jauan Jennings and Nigel Warrior make the same decisions. Kyle Shurmur has been playing in Nashville for so long, he probably has a doctorate from the school at this point. Believe it not, the Shurmur era will end sooner rather than later and Andy Ludwig and the Commodores need to start laying the ground for what the offense will look like next season. Another season of subpar rushing numbers won’t cut it for a team breaking in a new starting quarterback. The defensive-minded Derek Mason consistently talks about having a physical team that’s ready for a scrap and that identity needs to start with a running game led by Ke’Shawn Vaughn. Should the redshirt junior return for one final season, the Commodores would be wise to build around him. While he hasn’t been 100 percent throughout the season, the junior leads the SEC in average yards gained per carry. That’s a remarkable stat considering he has been injured during the season. Having an improved running game would bleed the clock and aid Mason’s defense as well. While losing a veteran quarterback is never ideal, a shift in offensive philosophy could benefit the Commodores, but that identity needs to start to close out this season. If Vandy can take the momentum gained from the win at Arkansas and translate that into consistent performance on the ground, the entire program will benefit moving forward. Last year Missouri finished tied for 6th in the nations toughest NCAA league. I don’t count Georgia or Kentucky as a loss this year. But even if somebody else does, there might be a log jam for every league next best record. That would help expand Missouri’s recruiting footprint yet again. 9-4, even at 4-4 in the league will sell pretty well with two of those losses coming to the two division champions. And there’s a chance Alabama will beat Georgia worse than they did Missouri and LSU. Why don’t you count Georgia or Kentucky as a loss? I understand not counting the Kentucky loss, as Missouri possessed the lead when the game clock hit zero. But Missouri lost squarely to a young and inexperienced UGA team in September. I assume you meant to say South Carolina instead of Georgia. The monsoon was tough to deal with, especially with the game delay. Georgia beat us though. Despite our chances to keep the game close, it was pissed away with a pick 6 and blocked punt. ^^^Yes, I think Wolfman meant SCar. Wolf, what are you talking about? Where do you come up with the crap you post? Mark richt is an amazing and great man, I have a World of respect for him. But if he was still at UGA, we’d be on this list. MSU’s offense better progress. The defense will be losing elite players on the front and back. Seriously. No doubt we are losing some elite players on D, however ALL of the linebacking core will be back and a lot of the rotating players on the D-line will be back. Secondary will be a question. We’ll just need some younger guys to step up. But I don’t think it’ll be all doom and gloom on D next year. Mullen built, but here’s betting those in change will keep him and fans will have flashbacks of the Croom era. To further ensure this, the defense will keep MSU under the point spread and Moorhead will take that as a sign his offense is ‘beginning to work’ and push this MSU team harder into trying to magically morph into a team they weren’t recruited or trained to be, once again expecting the team to adapt to the coach, and once again become a laughing stock. That flashback part has already begun to happen. A lot of that defense will be gone next year. Speaking only for myself, I don’t see MSU as a laughing stock and think characterizing Moorhead at this stage is a bit premature. He’s doing as well or better than the other newbie coaches in the league — and some veterans as well. It seems evident that the team is following a progression scheme. Just look at the increase in passing — one step at a time. Just my 2-cents. I agree. MSU77 doesn’t speak for all state fans. With the exception of his play calling and or scheme in 2 or 3 games this year, I’ve been pleased with Moorhead. I definitely don’t foresee MSU regressing back to the Croom era. So he’s a good coach except for his play calling and schemes. Think about what you said. I hope you’re right and State never loses another game. I just see a different future unless something changes drastically in a way Moorhead makes me doubtful can be achieved with him there. I suppose as a State fan I should be accustomed to futility. Owen Pappoe, looking at his options (he visited Tennessee last weekend and is scheduled to be at Georgia this weekend. I thought he would see the light, after this season. Malzahn is not in the same league as Kirby Smart. Owen come home to UGA, and win Championships. Go to Auburn, and maybe win one? And, go through a coaching change before you leave college. I think you’re right about that, Tim. Dawgs definitely still in the hunt for Pappoe in spite of his commitment. Hope UGA shows Owen what he could be missing on Saturday night. Don’t get ahead of yourself, Timmy. One of the few people on SDS that should be worried about getting ahead of themselves, is you DD2. You seem to confuse mindless bluster and attacking comments with “supporting your team”. And oh the injustice if someone doesn’t support their team in an aggressive and rabid manner. Because there’s only one true way to be a fan, right??? Boxter355, grow a pair, and then get back to me, loser. That’s all you got, huh? “Grow a pair”. A truly clever and cutting comment. Your wit is as spectacular are your attempt to create a facade of “toughness”. No surprise Pappoe is visiting UGA. He committed to AU in May and said then he would take his remaining two official visits prior to December early signing period. His relationship with Travis Williams (LB Coach) is solid. Pappoe is a rare talent and I expect him to sign with AU, but it’s not a death knell if he flips. It isn’t? I mean, he’s your top commit and I believe has one of the all-time highest SPARQ ratings for any high school recruit at any position. As much as I would love Owen to join this class, I think he’s very solidly committed to Auburn. It would take a coaching staff implosion for him to de-commit I think. boxter355, Auburn hasn’t lived up to their hype so far, 6-3 and 3-3, with Georgia and Alabama left. Going 3-5 in the SEC may get him to thinking. Georgia also has this Saturday to impress. Auburn won’t have as much depth to challenge Owen for playing time, and that is their advantage, immediate playing time. Georgia has every other advantage, and the odds of Malzahn still being around before Owen graduates, or leaves as a Junior are 50/50. Most of these are the exact same goals that these teams had at the beginning of the season, particularly Arkansas, Tennessee, Florida, and Mizzou. There were opportunities for a surprise season for Mizzou, but in the end, the preseason expectations seemed to prevail as being more realistic. But I don’t think Lock’s progress was a team goal, however. If anything, the team’s play-calling at the top of SEC play favored the run too much, especially late in games in the prevent-a-loss scenario (which failed on two occasions). So as far as the rest of the season goes, Lock’s going to need to make the most of his opportunities again because expectations are still at 8-9 wins. Obviously you’ve been paying attention to Mizzou there eh AUforever? You realize we play Vandy and Arkansas at home and at Tennessee in between? I like our chances to win out and see what happens in a bowl game. I can see a Mizzou 3 game win streak, but every team remaining (UT, Vandy, Arky) is all looking to do the same and salvage their seasons. Don’t sleep on the road trip to Knoxville.